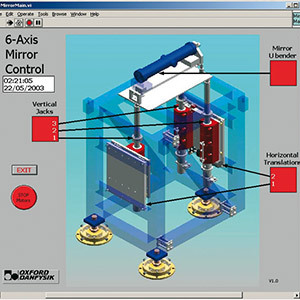 FMB Oxford offers a comprehensive control system design and implementation service. The service includes the specification of software and hardware, design of hardware, design and coding of software, test of software and hardware, and the implementation of the system. We offer a modular approach to design and build, using standard modules replicated across beamlines. This facilitates a control rack layout that is very lean in comparison with most beamline control systems. 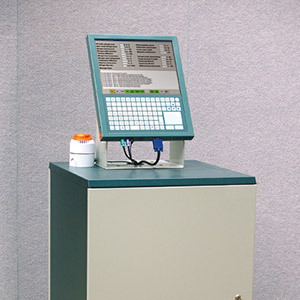 FMB Oxford can provide system integration with SPEC and EPICS experimental controls systems, and can also provide equipmentl protection systems and access control systems. FMB Oxford’s control system engineers work with customers throughout a project to ensure that the design solution is tailored to customers needs. Engineers produce a concept design of the software at an early stage for customer feedback and approval. The in-house capability is enhanced by strategic collaboration with specialist software houses. FMB Oxford have designed and implemented control systems at a variety of facilities around the world, including the control system for the SSLS compact storage ring installed in Singapore. We can also provide control systems for individual beamline components and feedback systems for beamline stabilisation. Rapid feedback loops using beam position monitors and piezoelectric servomotors to adjust mirror positions can stabilise a beam with great precision. Such systems can be retrofitted to existing beamlines. FMB Oxford has demonstrated dual loop control algorithms specifically for high resolution systems, which results in an improvement in settling time of between 3.5 and 4 times. These algorithms, when applied to a double crystal monochromator, for example, give noticeable improvements in the stability of the Bragg angle.